The future of mobile gambling in the Netherlands was left in question when the outgoing heads of the Dutch gambling regulating body left a mobile gambling bill stagnant in the Senate. Jan Suyver and Henk Kesler were appointed six years ago to oversee the Kansspelautoriteit (KSA), the Dutch gaming authority, and were given the main goal of introducing online gambling to the country. Unfortunately, it looks as though the Dutch people will need to wait a little longer to being gambling online. Online gambling in the Netherlands is currently illegal. There is a bill sitting in the Dutch Senate waiting for approval that would legalize online gambling for the Netherlands. The Remote Gaming Bill was approved by the Dutch lower house back in 2016, but has lain dormant in the Senate since then. While waiting on the Senate to approve the bill, the lower house continued to discuss the implementation of online gaming. A major victory for Suyver and Kesler came during the swearing-in of the new government coalition in October of 2017. As part of the coalition agreement, a condition was included to require an operator to have a physical presence in the country in order to be eligible to obtain an online gaming license. That quote is from Henk Kesler during his exit interview with the KSA, his frustration with being unable to introduce online gambling laws very much on display. Suyver did make a note that they were always going to face problems trying to flip religious members of the legislature onto the idea of online gambling. However, he makes a point to say that being against something doesn’t mean everyone is. "In our country it is a complicated, ideological dossier in which there is a wide range of insights and interest. The consumer simply has the right to be protected. I always say: even though you are against gambling, that cannot be a reason not to arrange it. Rather, on the contrary, I would say." Despite their frustration at changing the current state of online gambling in the Netherlands, both men expressed optimism that things are, in fact, changing. Despite no laws officially being passed, Suyver commented that the government is taking the idea of online gambling as a serious one. On the same thought, both men are also proud of what they accomplished, despite not managing to get the final laws across the line. Of course, one of their biggest accomplishment was getting the Remote Gaming Bill passed by the Dutch lower house. Again, the bill does require approval of the full Senate as well to become law, but it’s still one less hurdle for the next leaders of the KSA to face. 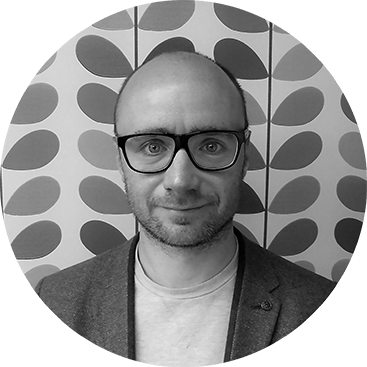 Matthew Glazier, the former Head of Marketing at bet365, is a veteran in the online betting industry and contributes to Bookies.com. Glazier has also worked at Sporting Index and betfair, and set up Dynamic Content Limited after leaving betfair.